Ireland has just one two star restaurant in the guide – Patrick Guilbaud in Dublin. 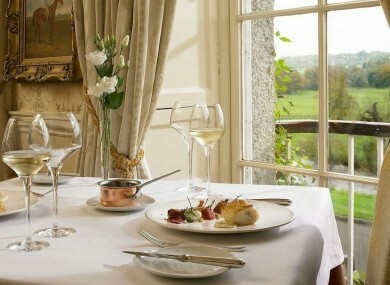 The Lady Helen restaurant in Kilkenny. TWO KILKENNY RESTAURANTS – Campagne and Lady Helen – have achieved Michelin success, gaining a star in the 2014 Great Britain and Ireland guide. There are four three star restaurants in the renowned guide, 21 two star establishments and 142 with one star in the new guide. Ireland has just one two star restaurant – Patrick Guilbaud in Dublin, which was also given a high comfort rating in the guide. Locks Brasserie in Dublin lost its one star status in this Michelin guide. There are also 11 Irish restaurants named as ‘Bib Gourmands’ which the guide says have ‘good food at moderate prices’ and the Brasserie at bon appétit in Malahide was added to that list this year. Four restaurants in the country lost this status including O’Dowd’s in Galway and Box Tree in Stepaside. The other two, White Sage in Limerick and O’Brien’s in Waterford, are closed. Email “Michelin star success for two Kilkenny restaurants”. Feedback on “Michelin star success for two Kilkenny restaurants”.